The Most Reverend Denis J. Madden, Auxiliary Bishop of Baltimore and Vice Chair of the Board of Directors of the Bethlehem University Foundation, celebrated his golden anniversary of priesthood on Sunday, the 25th of June, in Baltimore, Maryland. 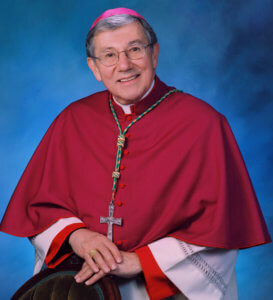 Bishop Madden was born in Carbondale, Pennsylvania, on 8 March 1940. He was ordained a priest for the Benedictine community of St. Paul's Abbey in Newton, New Jersey, on 1 April 1967. Among his duties included the establishment of a Benedictine community in New Orleans to support the pastoral work of the Archdiocese of New Orleans especially in working with the poor. At the invitation of Cardinal Lawrence Sheehan, Father Denis was incardinated into the Archdiocese of Baltimore in 1975. During the course of his priestly ministry, Bishop Madden has served on the Tantur Ecumenical Institute in Jerusalem and as the Director of the Pontifical Mission for Palestine. He was also the Director of the University of Notre Dame Studies Abroad Program in Jerusalem. From 1996-2005, the future bishop served as Associate Secretary General of the Catholic Near East Welfare Association (CNEWA), working on behalf of the Holy See in those lands in which from ancient times the majority of Christians belonged to the Eastern churches. Among his duties while with CNEWA, Bishop Madden served as the chief negotiator among the three ecclesiastical authorities responsible for repairing the dome of the Church of the Resurrection in Jerusalem. Bishop Madden was consecrated a bishop by His Eminence William Cardinal Keeler at the Cathedral of Mary Our Queen on the 24th of August, 2005. 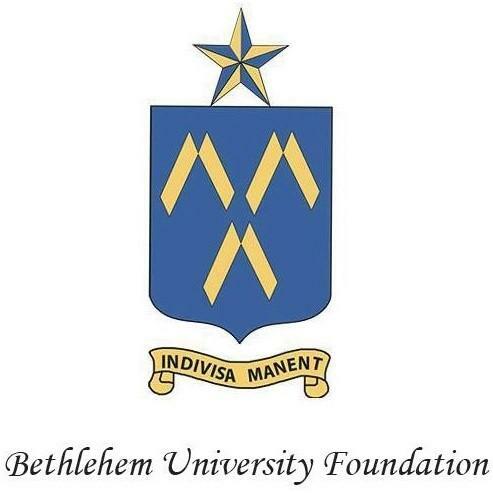 In connection to his many years of service on behalf of Christians in the Holy Land, Bishop Madden was elected to the Board of Directors of the Bethlehem University Foundation in 2010. He currently serves as the Vice Chair of the Board. 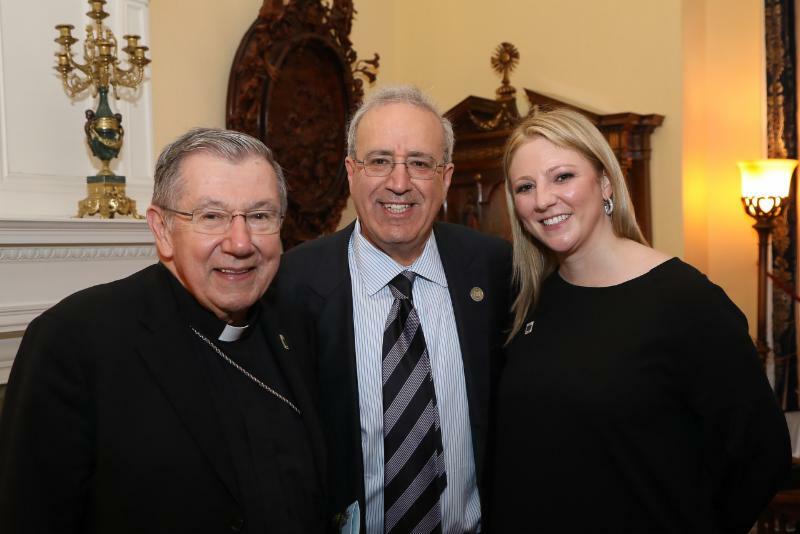 Bishop Madden is shown with fellow board members Mr. Elias Aburdene and Ms. Katie Acuff at the Foundation's Reception at the Residence of the Holy See to the United Nations this past April. Though he is officially retired, Bishop Madden continues to serve the faithful of the Archdiocese of Baltimore as vicar for the urban vicariate. At the Board's most recent meeting, Bishop Madden renewed his membership for another term of three years. In his years of service as a priest and a bishop, he has certainly lived up to his episcopal motto: "That in all things may God be glorified." To learn more about the anniversary Mass on the 25th of June, click here. To make a gift in celebration of Bishop Madden's 50 years of priesthood, please click on the donate button below. Designate "other" and type in Bishop Madden's name.